It’s not everyday you meet somebody with the same name as yourself, let alone having some of the same interests. I was contacted by the other Neil Lucas from the ‘Knoll Gardens’ who is a Chelsea Flower Show Gold Medallist for 10 consecutive years. 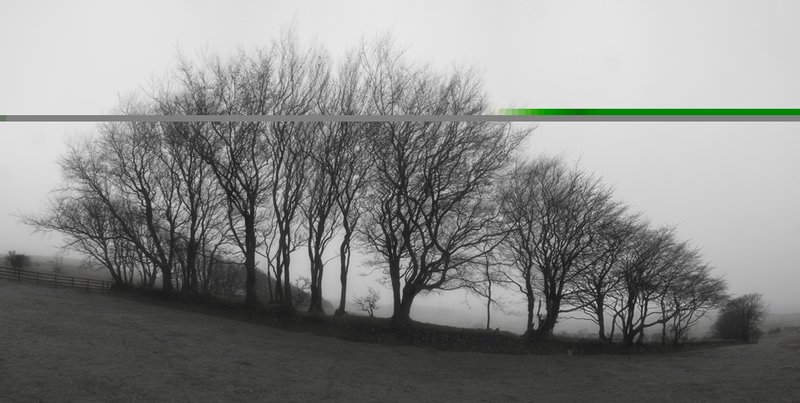 Neil asked me if I could help support his charity ‘The Knoll Gardens Foundation’ by donating a print for a fund raising event. 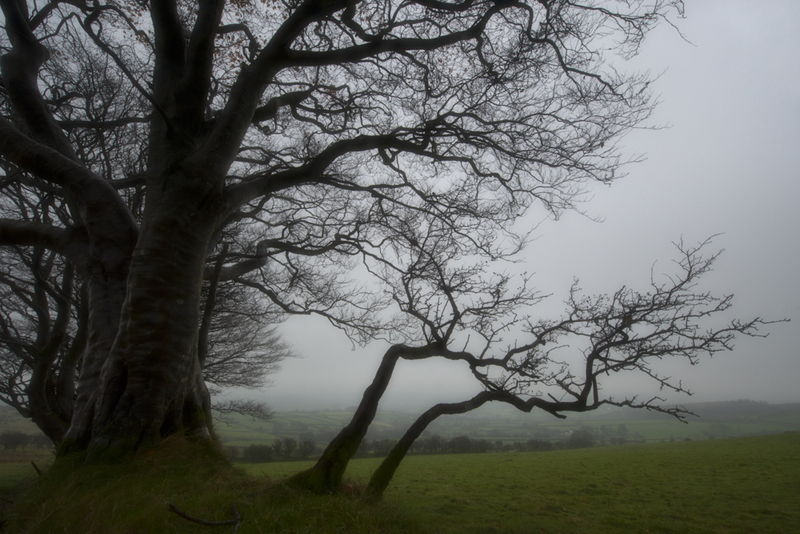 After spending an enjoyable morning with Neil in his very photogenic gardens, we discovered a joint interest in trees of all shapes and sizes, making the choice for a print an awful lot easier. The foundation promotes the research and development of sustainable wildlife gardens, and Neil’s website www.knollgardens.co.uk is a great place for information and inspiration and really worth a visit. Through out 2013 I’ll be working alongside Co-Directors Peter Svatek and Kristian Manchester on location in Montreal Canada, on this fascinating and multifaceted dramatic feature. The DNA of GSP is a feature documentary about UFC’s reigning welterweight world champion, Georges St-Pierre (GSP). Looking out of my office window today as the snow starts to fall once again, April seems too far away. 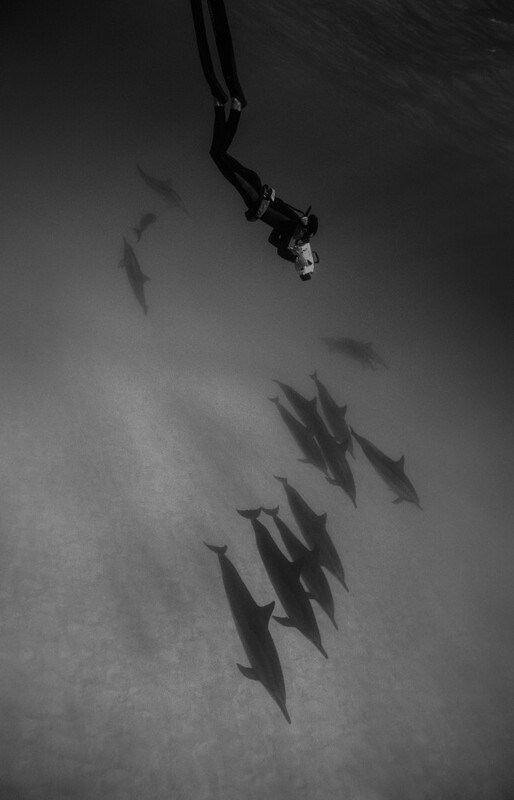 A few months ago I had an invitation from Dominik Ruhl to help with the Under Water Festival at the LUX* Resort in the Maldives. Without hesitation and before he could change his mind I pulled together a great team of talented people. With Michael Pitts, the top underwater Cameraman, Frank Spencer as Editor and Sara Campbell a World Champion Free Diver, it’s going to be a festival to remember and a lot of fun. So grab your kit and come down and join us in the sun. The DNA of GSP is a feature documentary about UFC’s reigning welterweight world champion, Georges St-Pierre (GSP). This feature is a journey that will take the viewer through the life of GSP and will provide an in–depth, UNPRECEDENTED ALL ACCESS exploration on who GSP is, the motivation behind his career and life and the strategy used in his MMA fights. Through out 2013 I’ll be working alongside Co-Directors Peter Svatek and Kris Manchester in this fascinating and multifaceted dramatic feature. Click here to find out more. 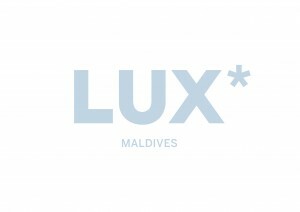 A few months ago I received an invitation from Dominik Ruhl, Manager at the LUX* Resort in the Maldives. He asked if I would be interested in helping setup their prestigious ‘Under Water Festival’. So without hesitation and before he could change his mind I pulled together a great team of talented people. With Michael Pitts, the top underwater Cameraman, Frank Spencer as Editor and Sara Campbell a World Champion Free Diver, It was an amazing event. Click here to find out more. This year I have the pleasure and honour of being one of the international judges for the highly acclaimed Veolia Wildlife Photographer of the Year competition. This annual wildlife photography competition is one of the most prestigious of its kind, attracting entries from photographers of all ages worldwide. 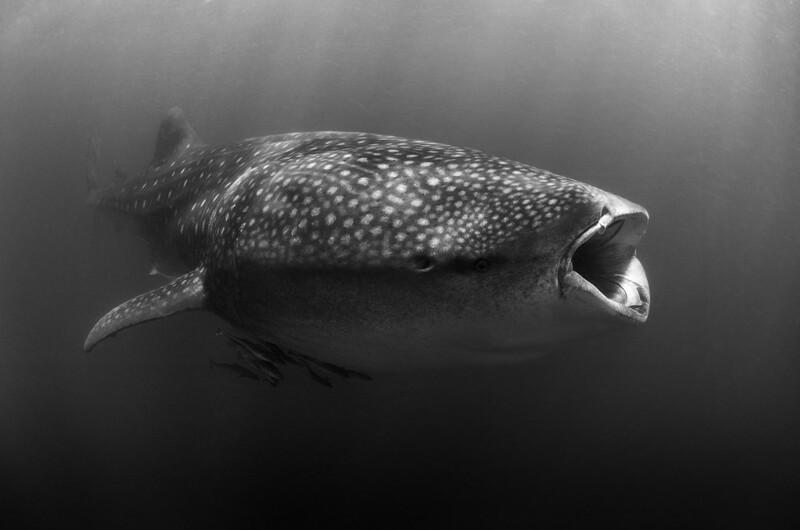 The competition is owned by the Natural History Museum and BBC Wildlife Magazine. 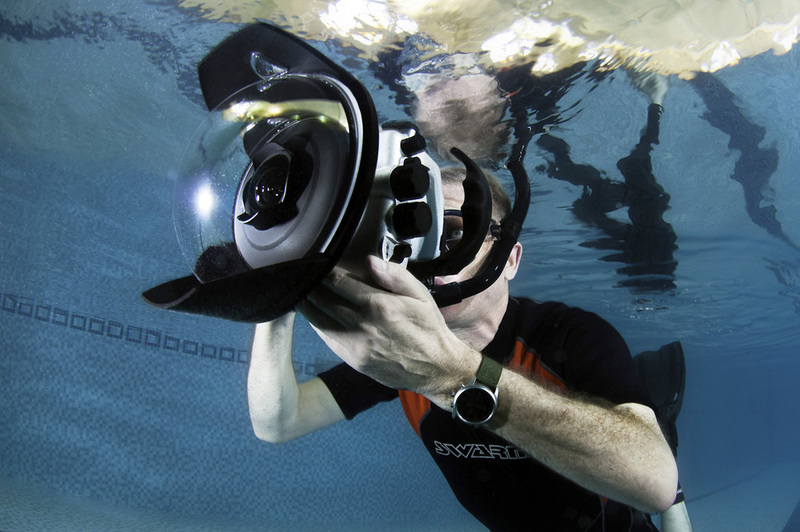 A few months ago I was lucky enough to be asked by Nikon to work with their Olympic team developing the underwater equipment for the London 2012 Olympics. This was the first underwater test of Nikons new D4 camera and a SeaCam Housing specially designed for us and the Olympic Games. I was also asked to work alongside the Motion Control Specialists ‘Mark Roberts’ to develop a remote head for the D4 in it’s housing. All three items are superbly engineered and work extremely well together, making the combination a worldclass team for the Olympics with endless potential for the future. 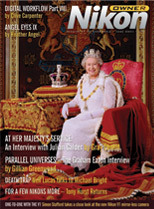 I recently had another article published in Issue XXXVII of Nikon Owner Magazine. 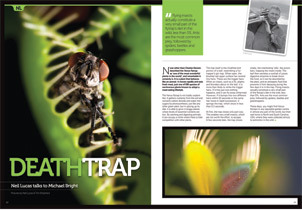 With words by Michael Bright, this one illustrates in detail how I shot the fantastic Venus Flytrap which is a plant that behaves like an animal; it moves rapidly, eats fresh meat and is just one of 595 species of plants known to adopt a carnivorous lifestyle. 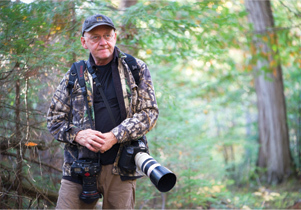 In September and October I joined Jim Brandenburg and Danny Ellinger in running a very successful series of exclusive photography courses and experiences. Working out of Jim’s amazing home ‘Ravenwood’ we managed to bring together our unique styles to work with over 30 people from across Europe and the United States. 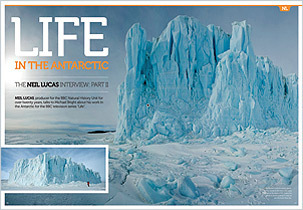 The second of two interviews for Nikon Owner Magazine documents my filming trip to Antarctica for the BBC NHU ‘LIFE’ series. After drilling holes through the 2 meter thick sea ice, we dive down and set up a film studio in the -2c freezing waters, and filming Weddell Seals and Adelie Penguins all in the shadow of Mt Erebus, Antarctica’s active volcano.